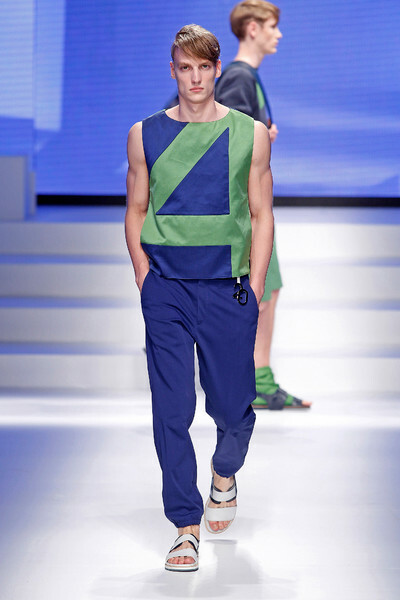 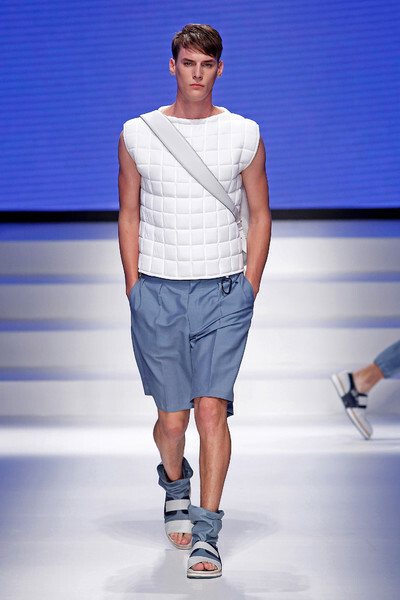 Sport inspiration is everywhere in Milan this season, even at a classic house like Salvatore Ferragamo. 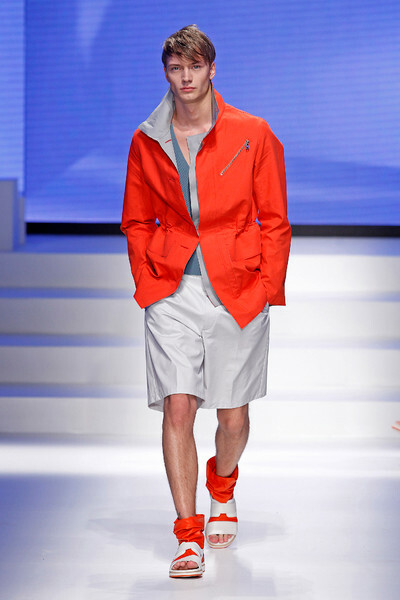 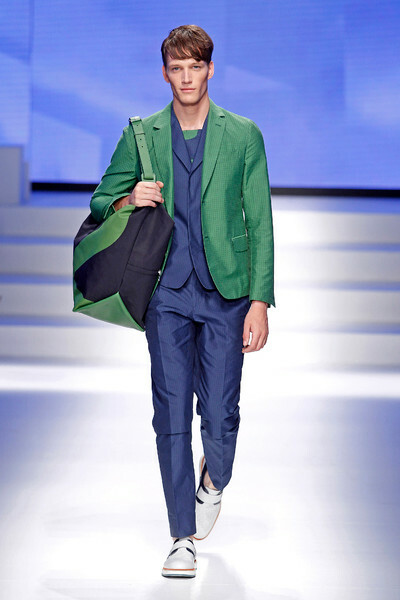 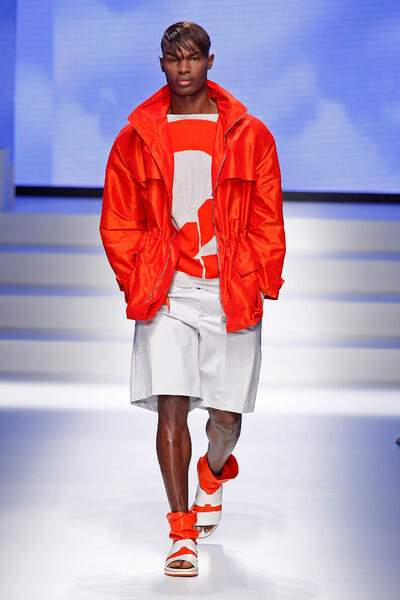 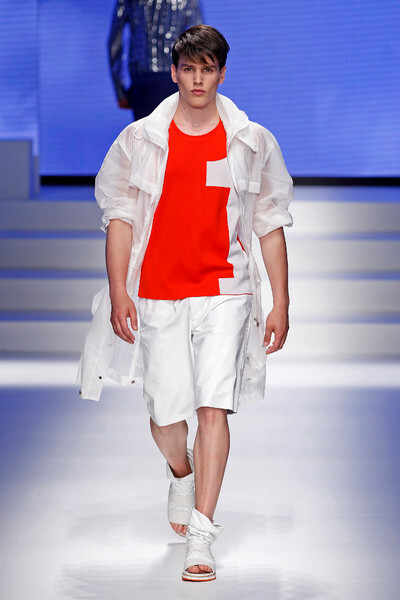 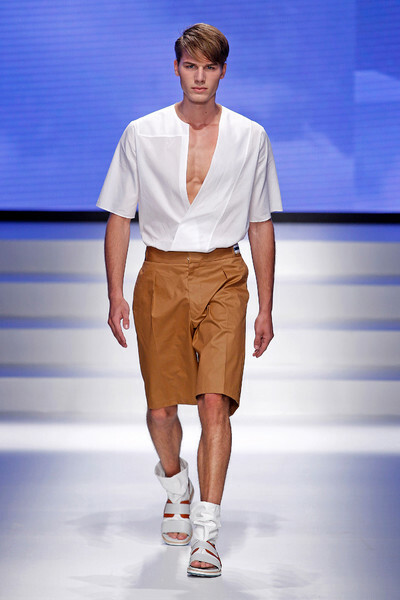 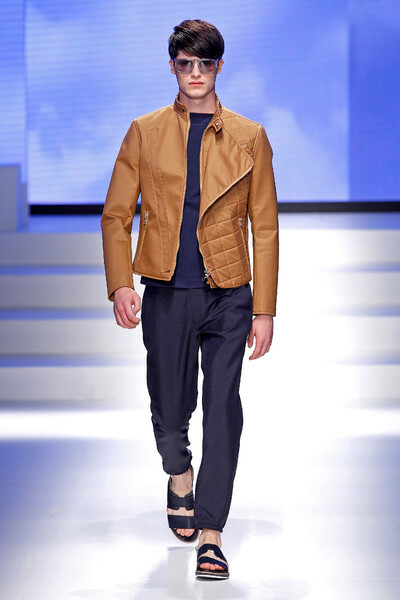 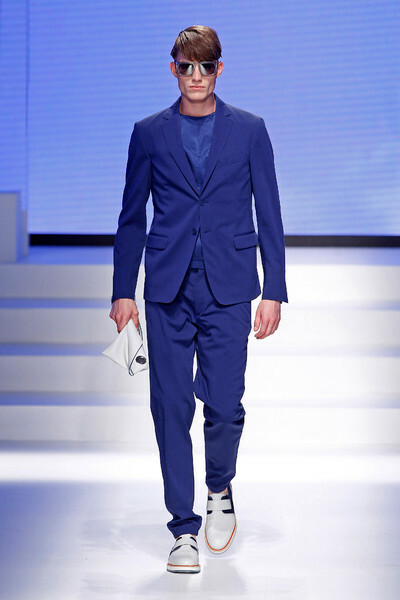 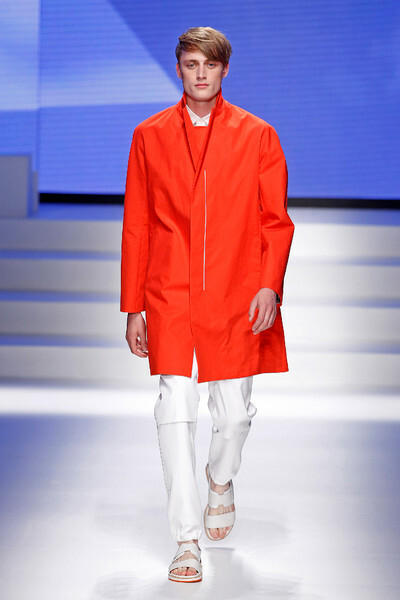 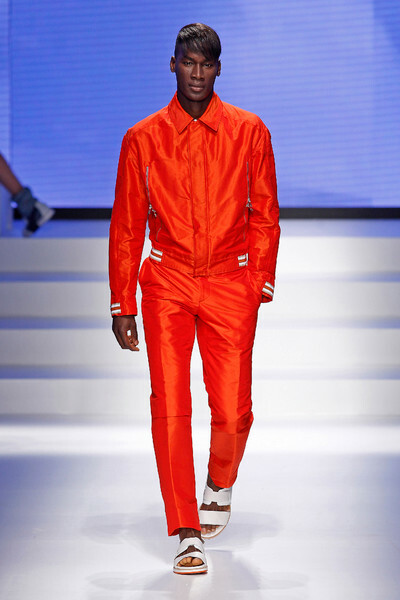 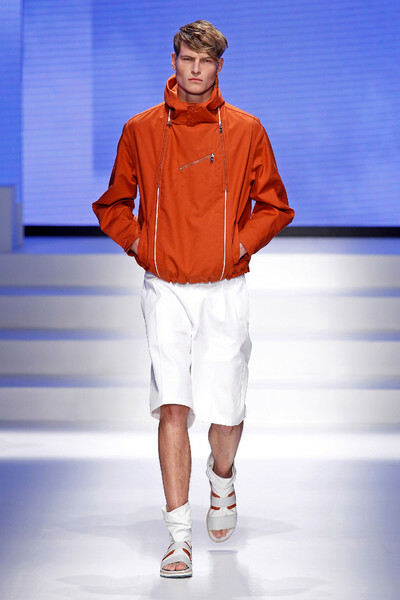 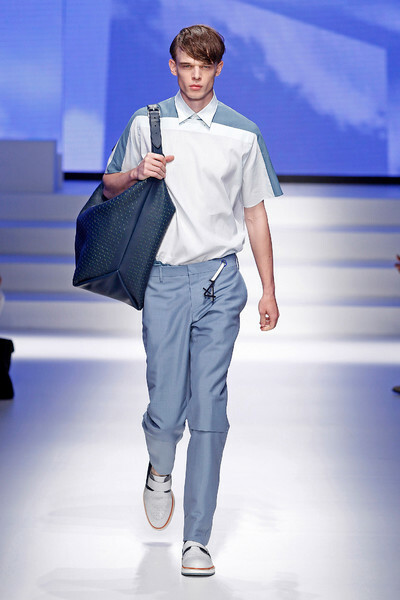 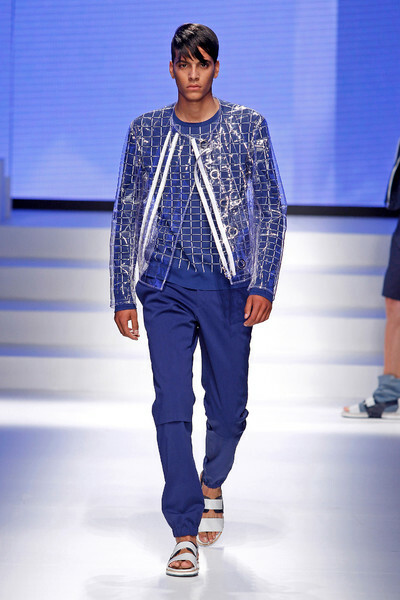 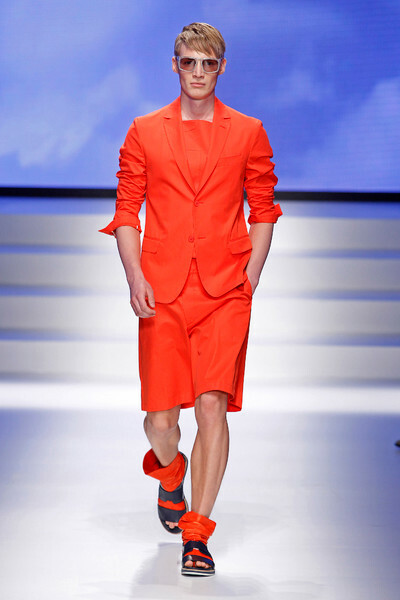 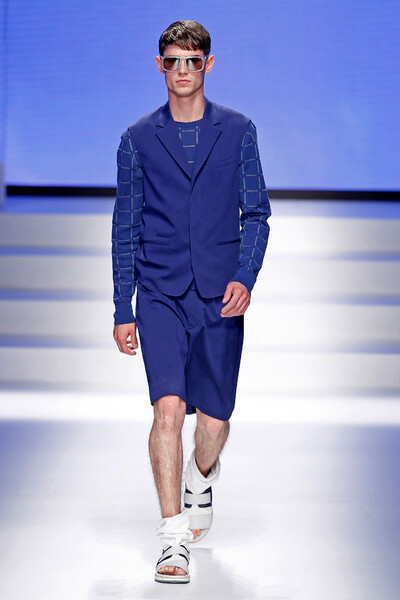 Creative director Massimiliano Giornetti used mustard, burnt orange, light blue, tomato and olive for his ummer suits worn with white shorts, or trousers and jackets in a texture cotton. 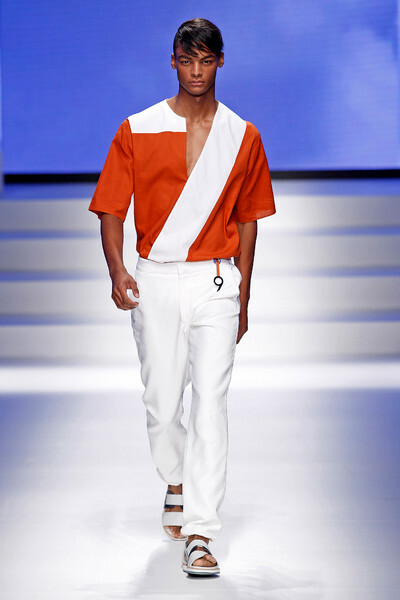 He took the numbers 1, 2 and 4, inflated them, and placed them on stiff cotton sleeveless shirts and tunic tops, tanks, and knits. 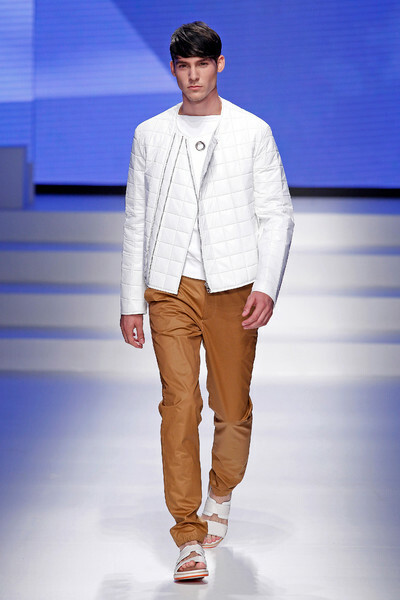 There was a quilting motif too, for white leather jackets, and as a pattern on short plastic coats or cotton shirts. 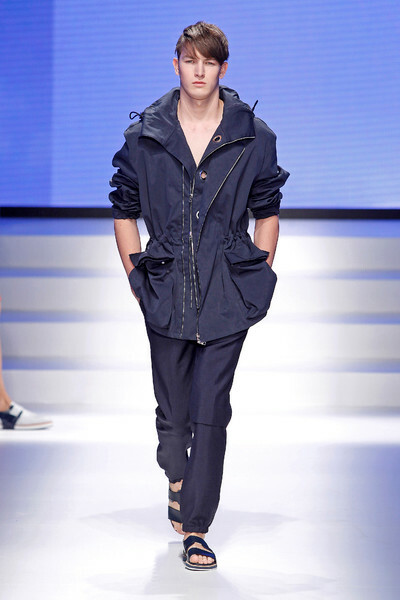 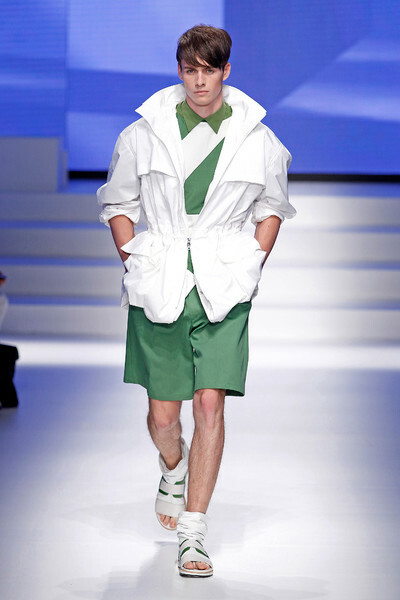 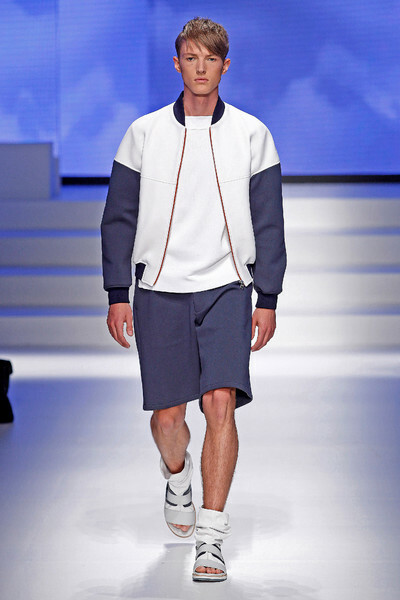 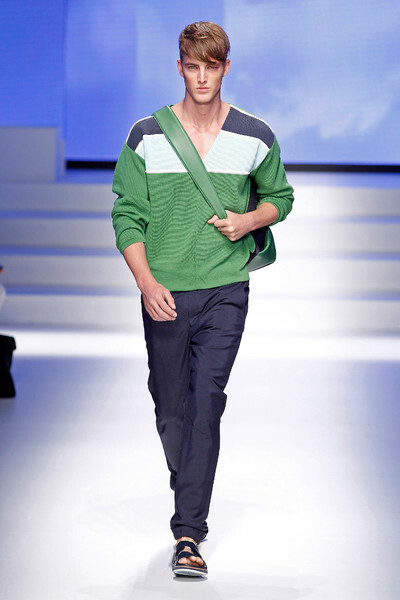 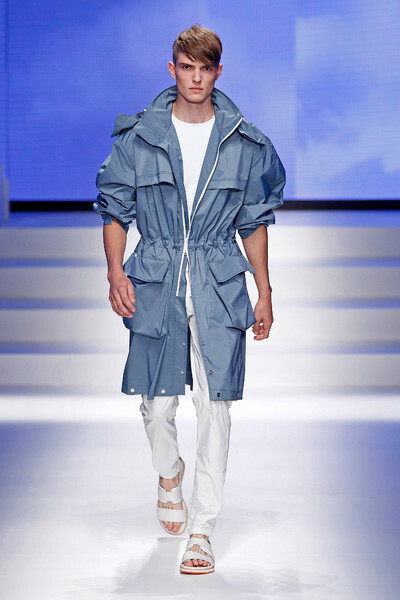 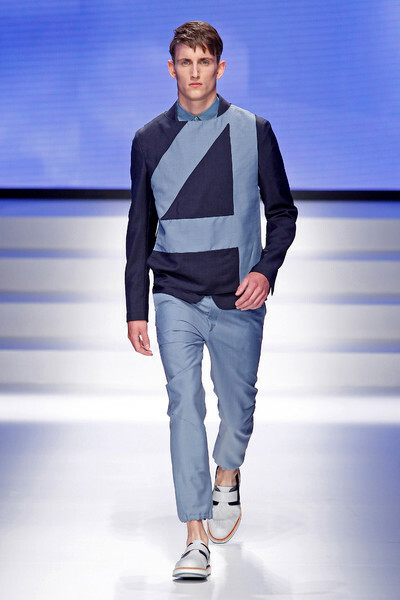 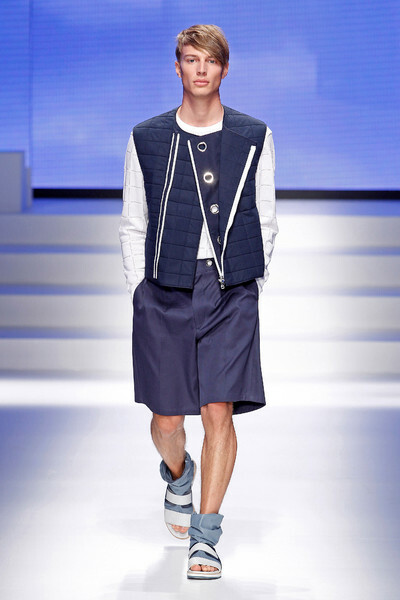 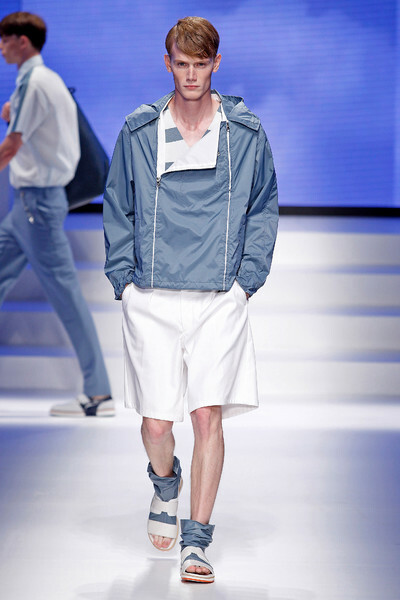 For outerwear, Giornetti played with volume.